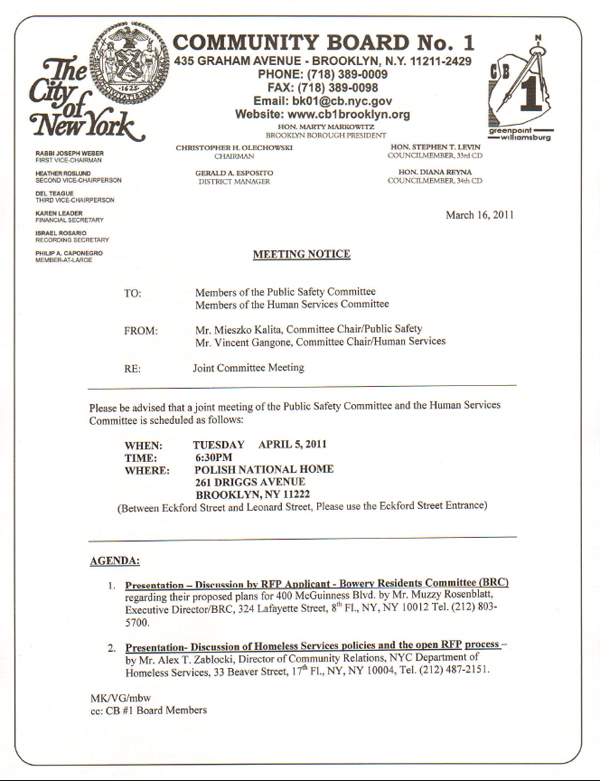 Another RFP for a 200 bed intake center, another Town Hall Meeting. Get your questions for Mr. Rosenblatt ready, Greenpointers! April 5, 2011 at 6:30 p.m.